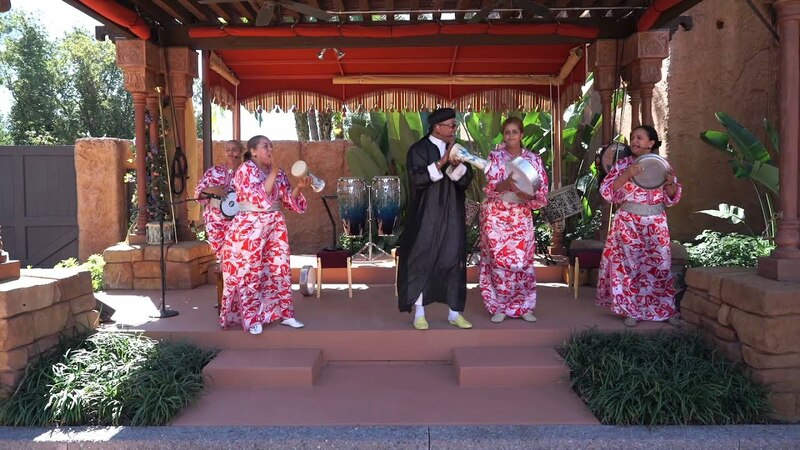 Oct 21, 2015 in "B'net Al Houwariyate"
B'net Al Houwariyate, the Morocco Pavilion's live entertainment act, is no longer performing at Epcot. Originating from Marrakesh, the group played instruments, with song and dance - drawing from many generations of Moroccan traditions, including rural Berber chants and Chaabi festival rhythms. The group debuted in October 2014 as the replacement for Mo'ROCKIN’ as part of a wide-sweeping clear-out of existing Epcot entertainment. A new musical group is expected in the near future. More from "B'net Al Houwariyate"